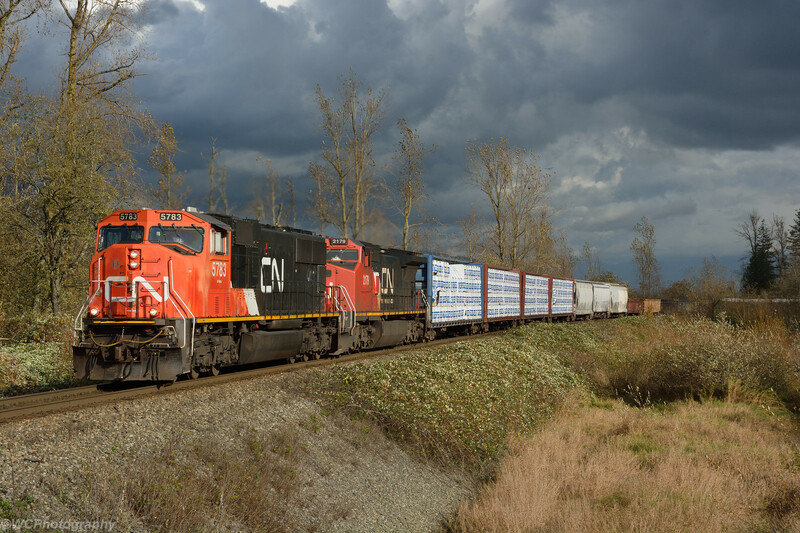 CN 5783 leads CN 355 west, under dramatic skies, near Sumas Mountain. 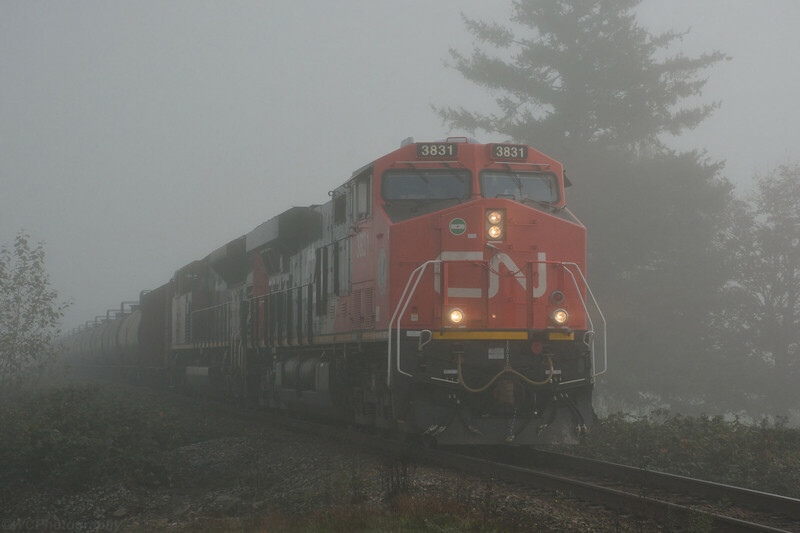 This is near the western end of directional running, where CP (and a few CN) westbounds reach home rails via the Mission rail bridge. November 4, 2018. 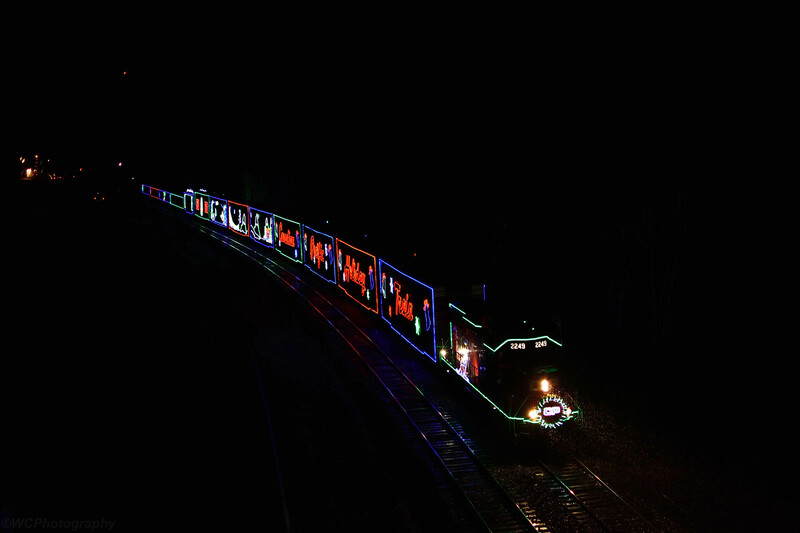 A short freight heads west on CN's Yale Sub. 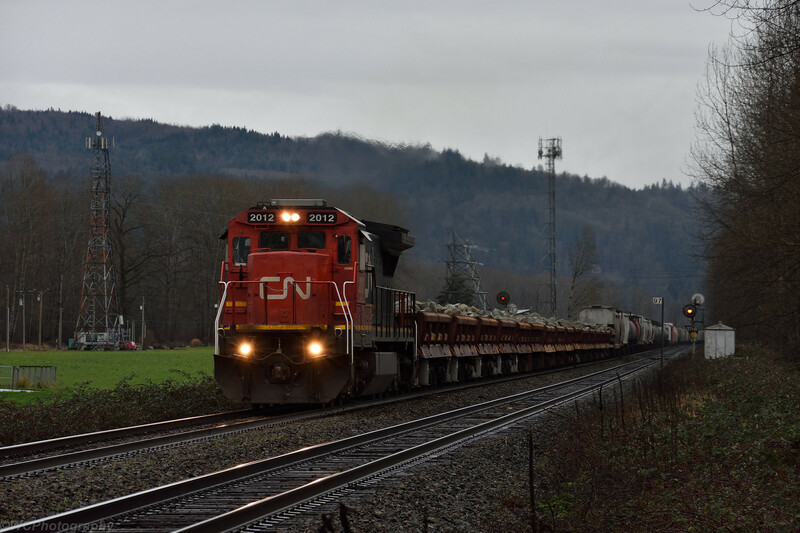 The loads of rock behind the locomotive were supposedly headed for the BNSF, to be used to repair wave damage on their line near White Rock and Crescent Beach. December 22, 2018. 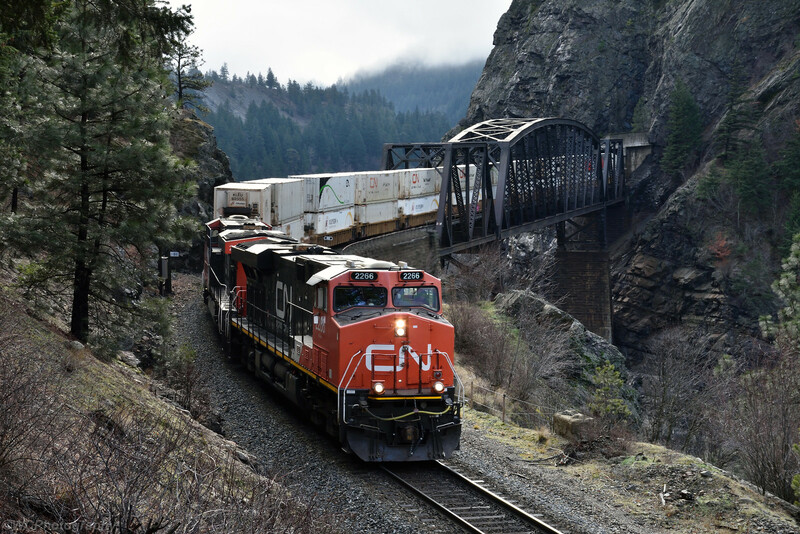 CN 2266 leads an eastbound off of the CP bridge at Cisco. 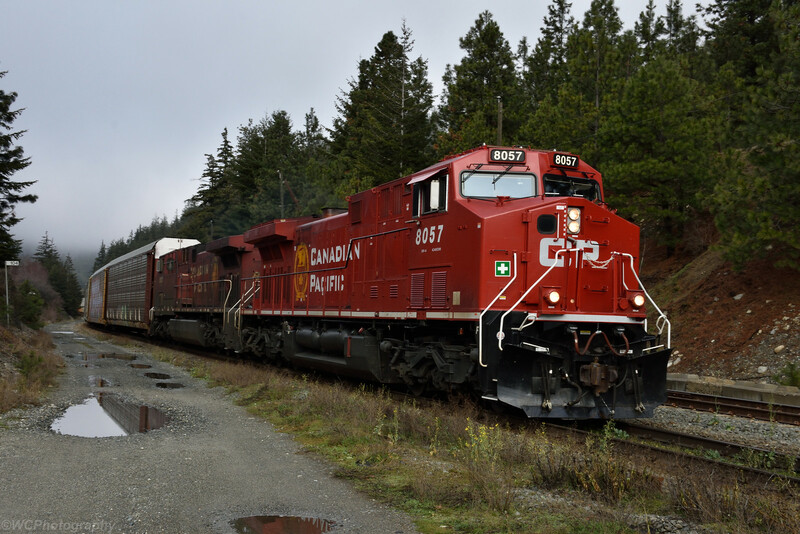 CP 8057 is towing? 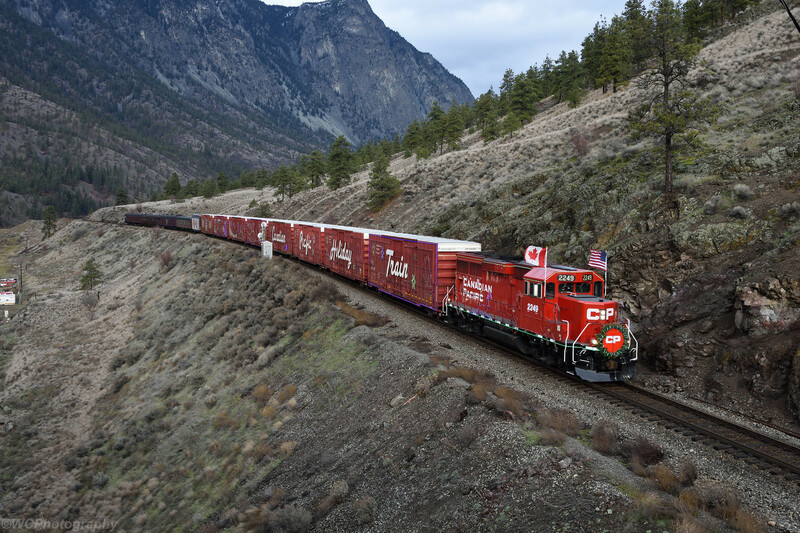 Great shots of how we move important goods and materials across this country through some pretty wild geography eh?